The Air Force Strategic Development Planning and Experimentation office in December awarded SpaceX a $28 million contract to test over the next three years different ways in which the military might use the company’s Starlink broadband services. WASHINGTON — The megaconstellations that promise to bring cheap broadband to the masses have drawn the military’s attention. Commercial space internet provided by hundreds or thousands of satellites in low Earth orbit will become a reality in the next few years, and the Pentagon already is trying to figure out how it will buy and use these services. Laying the groundwork for the military’s future use of LEO broadband is a small office located at Wright Patterson Air Force Base, Ohio. The Air Force Strategic Development Planning and Experimentation office in December awarded SpaceX a $28 million contract to test over the next three years different ways in which the military might use the company’s Starlink broadband services. Greg Spanjers is the chief scientist at the Air Force’s experimentation office and oversees a program called Global Lightning that is “trying to determine to what extent, and where it makes sense, for the Air Force to use emerging commercial space internet as another option for communications,” he said in an interview with SpaceNews. SpaceX received the largest Air Force contract so far of any of the LEO broadband companies under the so-called “Defense Experimentation Using the Commercial Space Internet” program. Iridium got $2.5 million. And more contracts are coming as other constellations get built, Spanjers said. OneWeb on Wednesday launched its first six satellites. Telesat a year ago put up its first LEO broadband satellite. Spanjers’ office is relatively new and different from a traditional Air Force procurement shop. It was stood up in May 2016 specifically to take commercial products and test them in field experiments. 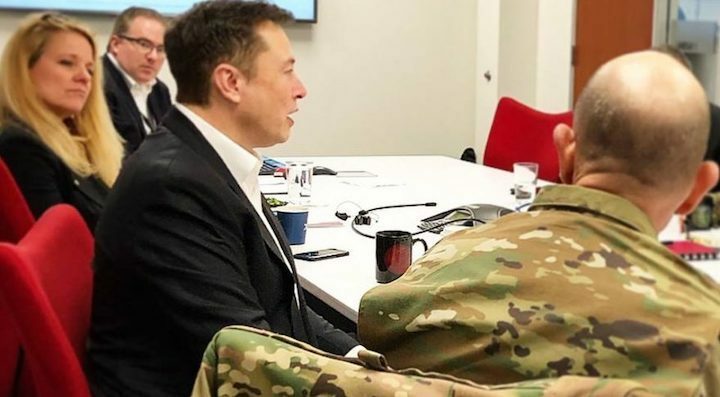 The idea is to grab promising technology and make it available to users much faster than is typically the case with military programs. This office of about 30 people is part of the Air Force Research Laboratory but works directly with Air Force and Defense Department leaders at the Pentagon. In fiscal year 2019 it received $216 million, most of which Congress requires that it be spent on experiments and prototypes. One of the most recent projects led by this office was a “light attack” demonstration that tested commercially available tactical aircraft for use in combat missions. Low-cost internet access from LEO constellations is one of the products that the Air Force wants to be able to acquire and use as soon as possible, said Spanjers. Today the military relies on a mix of geostationary commercial and military satellites. The megaconstellations would have hundreds or thousands of small satellites orbiting the planet at lower altitudes. Brian Beal, program manager of Global Lightning, said the Air Force already has tested the performance of SpaceX’s first two Starlink satellites Tintin A and B. “We were very happy with the results,” he said. Basic tests even with just two satellites helps the military understand the system and consider what could be done in the future when the constellation is completed. “As the commercial world expands and starts to roll out their full constellations, we’re informed and in a good position to make smart decisions,” Beal said. One issue that is being investigated is how the military’s ground equipment would have to be modified. “Frankly what I find interesting is that these companies are talking about coming down to your private home and people having their own antennas,” Spanjers said. “Ground equipment is part of the experiments we’ll do,” he explained. “We can take the vendor’s ground equipment and put DoD encryption systems on the back end and interface it into our systems. Or we can look at building integrated units and see how complex it is in each case.” L-3 received a $5.6 million contract to help assess military terminals.